Angi has been in the fitness field since the early 80’s. She holds certifications through Aerobics and Fitness Association of America (AFFA), the Arthritis Foundation, Yoga Fit, American Red Cross, Posture Perfect Pilates and is CPR/AED certified. In addition to personal training she has taught many types of fitness classes including: Spin, Aqua Aerobics, Kickbox, Step, Lo-Impact aerobics, Body Sculpt, Core, Stretch, Yoga, Fitball and both Mat and Reformer Pilates. Angi's clients all have different goals which range from specific sport training, better mobility, weight loss, body building, rehabilitation or simply a healthier lifestyle. These clients have ranged in age from 10 years to 95 years old! She tries to meet each individuals needs and helps them set realistic goals. Angi incorporates various types of equipment in her workouts to include weight machines, dumbbells, barbells, bands, medicine balls, steps, fit balls, balance equipment and Pilates equipment. She worked full time at BigHorn Golf Club for 7 years completely enjoying her career. 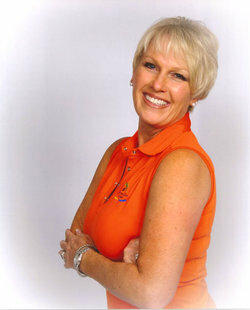 She has taught at College of the Desert, Reserve Country Club, Ironwood Country Club, Palm Valley Country Club and The Springs Country Club. Angi has run many half marathons (13.1 mi) and has coached and run 6 full marathons (26.2 mi). She has taken teams to Honolulu and twice to Dublin, Ireland. She has also completed many 50 mile bike races. Angi is a friendly, outgoing and strong individual who is dedicated in motivating and helping all her clients by providing support and knowledge. She is passionate about helping her clients adopt a healthy fitness lifestyle.